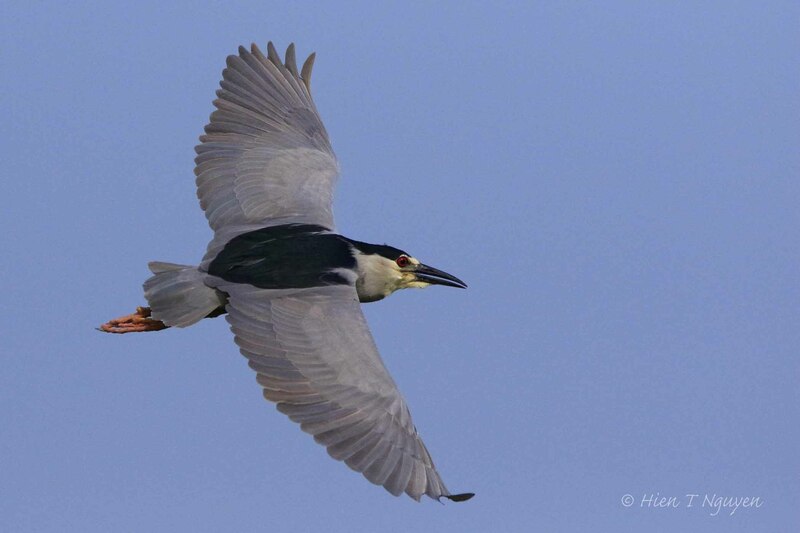 This past Sunday, as I stood by the side of the Ocean City Welcome Center to photograph Night Heron nests, there were many herons flying in and out of the rookery every few minutes. I tried to swing my camera around and aimed at them, but they were so fast that I never knew whether I managed to capture any of them. Actually, I did miss most of them, but the following somehow came out rather well. 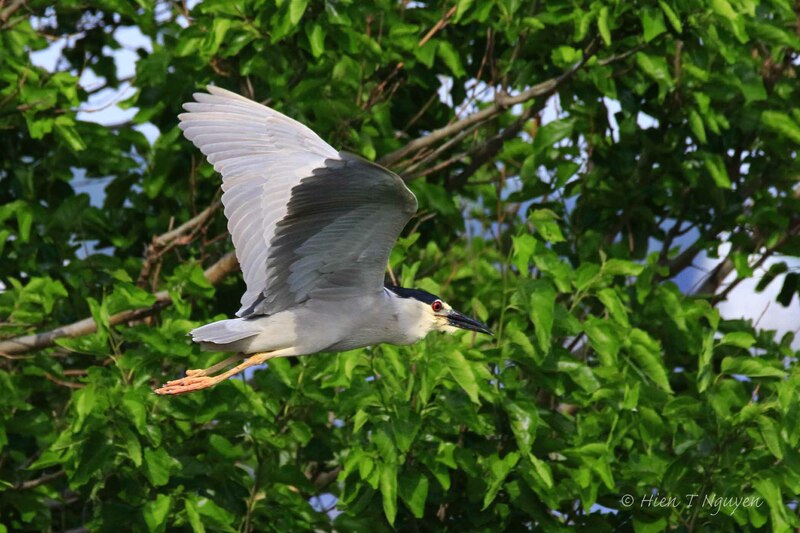 Same Black-crowned Night Heron, a fraction of a second later. 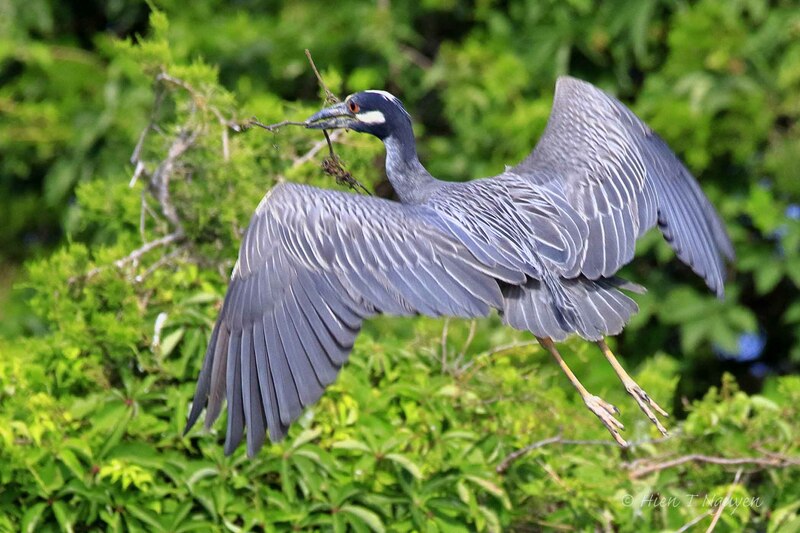 Yellow-crowned Night Heron carrying a stick back to nest. This Grackle had just landed in a tree. It had some kind of berries in its beak. Outstanding flight captures! I love the challenge of bird flight, and I always ‘trash’ most taken, but when we lock in well enough to capture the detail, it makes it all worth the challenge. Well done, Hien! BIF are especially difficult when the birds are small. However, these were large birds and I had a good vantage point to shoot from. Yes, very hard indeed and that is why you haven’t seen any on my blog, LOL! You did a good job on yours, even if they are a little larger. You are so talented at capturing birds in flight! Thank you Sue. You are too kind, I still have a lot to learn and practice. 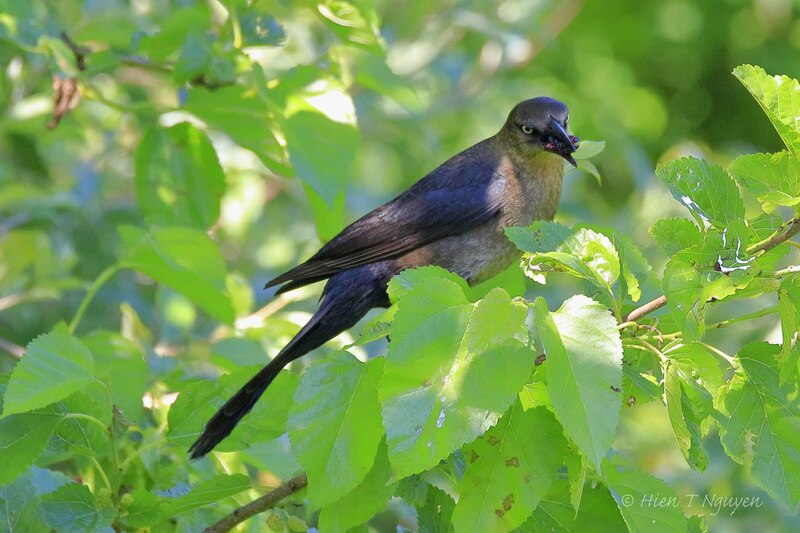 Amazing “phases” on the wing,Hien!All are great shots,I particularly like your second image and the Grackle in the bright green leafage facing your camera lens. Thank you Doda. I fully agree with your choices. Thank you Lisa and Bear. Enjoy your weekend. These are very nice BIF shots. The flights with the twigs for nest building remind me how I missed most if nesting season this year. Sob sob !! 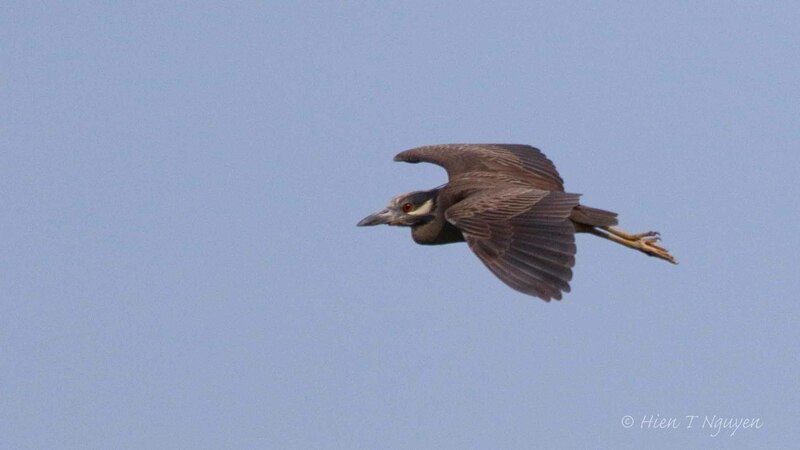 Glad you have a nice rookery to visit and night herons even! Thank you Judy! I hope you will be going out to take pictures again this year. With your posts in past years, you set an example for me to follow. Excellent photos! Birds in flight are tough, it takes lots of practice, well, it does me anyway, you seem to have done very well. Thank you Jerry. BIFs are indeed hard. Beautiful shot. I’ve never tried to catch a bird in flight. You should try Emilio, nothing to lose, everything to gain!